It is contended that as per Section 167(1) of CrPC, case diary need be produced only if the accused is produced before the jurisdictional Magistrate. 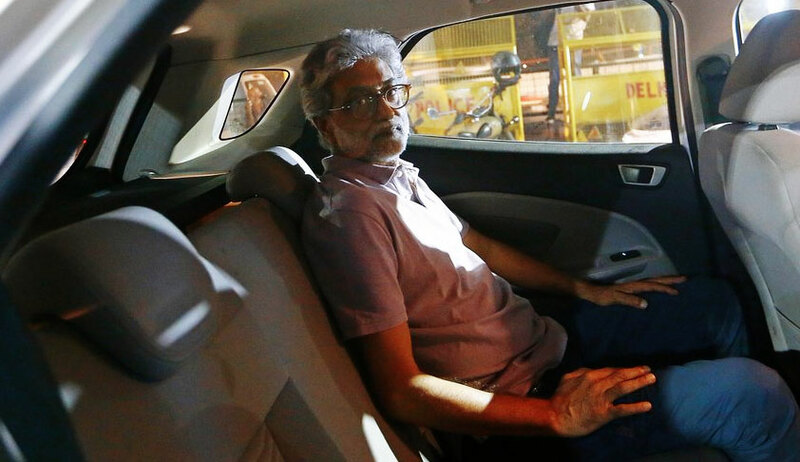 The Maharashtra government on Wednesday moved the Supreme Court against the Delhi High Court order allowing Gautam Navlakha, one of the five activists arrested in connection with the Koregaon-Bhima case, to be freed from house arrest. The Delhi High Court freed Navlakha from house arrest on Monday, five weeks after he and four other rights activists were arrested in connection with the Koregaon-Bhima violence in Maharashtra. The High Court quashed the transit remand order issued by the Chief Metrapolitan Magisrate, Saket, on the ground that there were grave procedural irregularities. The High Court noted that the case diary and FIR in Marathi, a language not known to the accused and the Magistrate, were furnished before the Magistrate, and hence the Magistrate could not have entered satisfaction regarding the necessity of remand. It was also found by the High Court bench of Justice Muralidhar and Justice Vinod Goel that grounds of arrest were not duly informed to Navlakha, and that he was denied proper legal aid. The high court said Navlakha's detention had exceeded 24 hours which was "untenable". The plea challenging the order was filed in the apex court registry Wednesday morning, told Nishant Katneshwar, counsel for the Maharashtra government. In the petition, it is contended that the Delhi High Court misread Section 167(1) of Code of Criminal Procedure. It is contended that as per Section 167(1) of CrPC, case diary need be produced only if the accused is produced before the jurisdictional Magistrate. In case where the accused is produced before a non-jurisdictional Magistrate for seeking transit remand, there is no requirement to furnish case diary- this is the essence of argument. It is also stated in the petition that the grave offences under UAPA are involved in the case, and Maharashtra police was on a hot pursuit of the accused, and in such compelling circumstances, production of translated copies of case diary was not feasible. Granting relief to Navlakha, 65, the high court also quashed the trial court's transit remand order which he had challenged before the matter was taken to the Supreme Court. Navlakha was arrested from the national capital by the Maharashtra police on August 28. The other four activists were arrested from different parts of the country. They were arrested in connection with an FIR lodged following a conclave -- Elgaar Parishad -- held on December 31 last year that had allegedly triggered violence later at Koregaon-Bhima village in the state.